Are you looking for an action oriented organization working to have a positive impact on liberty here in the sunshine state? 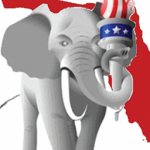 Join the Republican Liberty Caucus of Pinellas County on the 3rd Wednesday of each month starting at 7:00 PM. The meeting will take place at Applebee’s located at 5110 E Bay Dr, Clearwater, FL 33764. Come out and meet fellow liberty seekers in your area, learn about the RLC and see our plan for growing and impacting the local area towards liberty in the region. The Republican Liberty Caucus is a 527 voluntary grassroots membership organization dedicated to working within the Republican Party to advance the principles of individual rights, limited government and free markets.